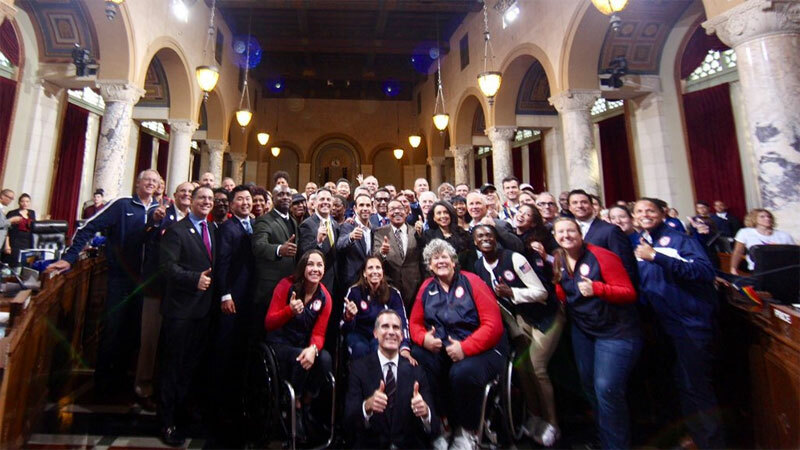 The Los Angeles City Council voted Wednesday to unanimously approve the final plans needed for the city to bid for the 2024 Olympic and Paralympic Games. 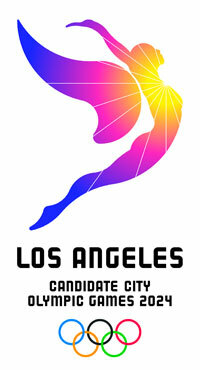 Among the items included in the approval, by a 13-0 vote, are detailed documents required by the International Olympic Committee (IOC) by February 3 that outline venue proposals and financial guarantees, and approval for the Mayor Eric Garcetti to sign the host city contract should Los Angeles be elected to host the 2024 Olympics during a meeting of IOC members later this year. Bid Chair Casey Wasserman described the vote as “historic” in a Tweet shortly after the results were announced. The authority given to sign the host city contract, in effect allowing the city to accept full financial responsibility for organizing the Games including any cost over runs, is a key milestone for the bid. Past U.S. based bids have been challenged with this issue – most recently when Boston’s bid for these same 2024 Games was ended when Mayor Marty Walsh backed away from the responsibility amid public pressure. Download full HOST CITY CONTRACT here. The financial guarantees are possible due to the bid’s plans to use all existing or already-planned venues and infrastructure – with no requirements for new construction projects. “LA 2024 has been able to present a rigorous, realistic and balanced budget with $5.3 billion of revenue and $4.8 billion cost, as well as $488 million contingency. This budget was independently assessed and ratified by KPMG,” the bid said in a statement Wednesday. The city council backing confirms the endorsement of the two-stadium opening and closing ceremony concept that was a solution to appease some councilors who were against having the marquee event held only in the new Inglewood football stadium, outside L.A. borders. The vote marks the final major city council hurdle and is the result of over a year of negotiations over the Olympic bid that has gained 88 per cent support of Los Angeles area residents. After the submission deadline, LA 2024 will prepare for a three-day visit of the IOC Evaluation Commission starting April 23 that will allow experts to review the bid’s plans and conduct site inspections of proposed venues. All of L.A.’s venues are either built, planned or will require only temporary installations which will enable the team to get a good look at the concept. The bid team will also be required to introduce the concept during a presentation to Summer Olympic Sport Federations on April 4 and will then provide a technical briefing to IOC members and other stakeholders starting July 11 in Lausanne, Switzerland. The final vote is to be held at an IOC Session September 13 in Lima, Peru. L.A. is competing with Budapest and Paris to host the Games in 2024.